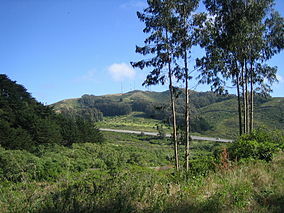 San Bruno Mountain State Park is a state park located in northern San Mateo County, California. 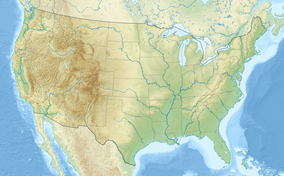 It is adjacent to the southern boundary of San Francisco and borders the cities of Brisbane, South San Francisco, Colma and Daly City. San Bruno Mountain Park is a landmark of local and regional significance, standing as a unique open-space island in the midst of the peninsula's urbanization at the northern end of the Santa Cruz Mountain Range. 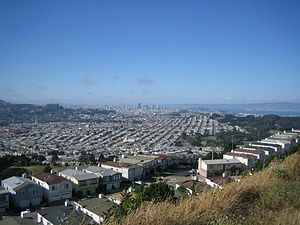 The park is dominated by San Bruno Mountain which is a 4-mile (6.4 km) ridge. The park provides habitat for several species of rare and endangered plants and butterflies, including the Mission blue butterfly. Trails to the summit afford outstanding views of San Francisco and the Bay Area. "San Bruno Mountain State & County Park". County of San Mateo Parks Department. Retrieved 22 June 2016. "San Bruno Mountain State Park". 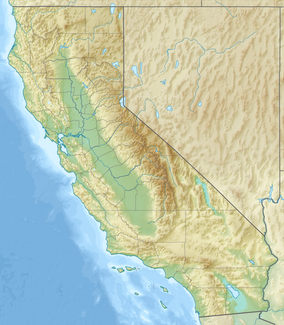 California Department of Parks and Recreation. Retrieved 22 June 2016. This page was last edited on 23 December 2016, at 15:49 (UTC).